I have been crazy busy with new clients that I have neglected my son a little bit over the week. 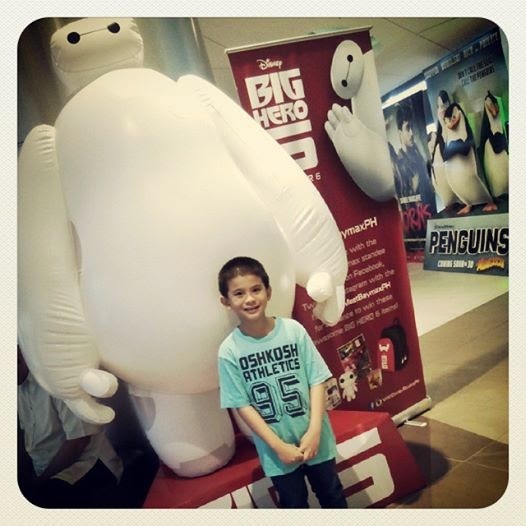 To make up for it, we watched Big Hero 6 today. Honestly, I had no idea what the movie was about because I haven't even been able to see the movie trailer. I did enjoy watching the movie but sadly, exhaustion overcame me and I fell asleep in the middle of the movie so I need to watch it again to understand what truly happened in the movie. I'm glad that B kept laughing during the movie. He really loved it and for that alone, any amount of exhaustion I have experienced and is still experiencing is totally worth it. PS. We also got 4 new board games and hopefully, I'll be able to play with him.